This article originally was published by Event Marketer. What the Daytona 500 is for auto racing, the International Consumer Electronics Show is for event marketing. CES has become an unofficial annual kick-off for this industry—with big brands, big budgets and big experiences uncorked in Las Vegas the first week of January. For many an event marketer, CES is not unlike an economic forecast. The show is used to get a feeling of budget lifts, what’s happening, who’s doing what (and why)… and where experiential marketing is going. After all, where else can you spend the morning with Intel and LG, the afternoon with Samsung and Under Armour and then wrap things up with Audi and American Express before dinner? Exactly. 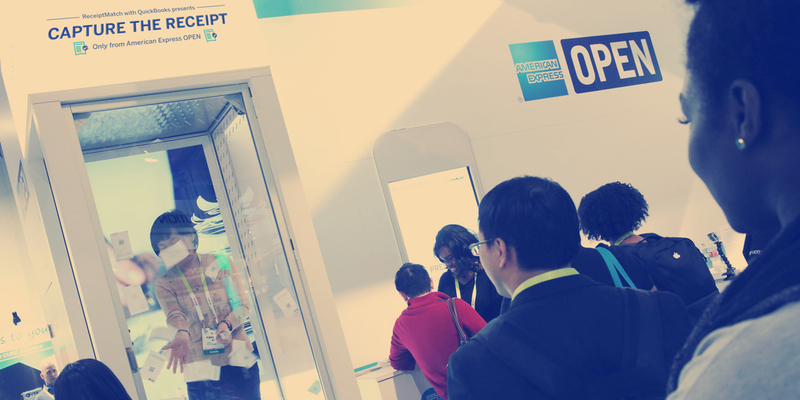 For its OPEN small business unit, Amex tapped into the CES 2015 audience with a booth designed to show off the tools and solutions available to businesses that use American Express. The anchor: a “Capture the Receipt” gamification experience in which contestants had 30 seconds inside an air booth to grab as many business expense receipts as possible. Then they matched codes from the receipts against a monitor (and in front of an audience) to win gift cards and t-shirts. Gets our award for the booth with the best emcee at CES—and we give Troy huge bonus points for explaining to attendees why the hell American Express was even at CES in the first place. “For those who are wondering why we’re exhibiting at this trade show, we’re here because many of you are business owners and we wanted to come here and spend some time with you.” Mom was right—telling the truth does feel good. Agency: Momentum Worldwide.